What Are Webinars? Do They Matter? Webinars have high CTRs and sales conversion rates. So what are webinars? A webinar is nothing more than a live web-based video or audio conference that connects you as the host of the webinar to your audience. Webinars should be an important part of your online marketing mix. They have the ability to bring in new potential leads from all over the world, as well as help you engage with your audience in a new, more personal way. But if you’ve never run a webinar before it can be very daunting. I mean, where do you even start? What Are Webinars And How Do They Work? Think about some online marketing method you’re really good at. Then think about the first time you ever attempted to employ that marketing tool. Were you scared? Did you feel like you may end up hurting your business more than helping it? Those are common feelings when any business owner, large or small, learns to use a new tool that he or she hopes will build their audience and positively impact their bottom line. If you are considering using webinars to build and grow your business, you deserve a congratulatory pat on the back. Webinars have higher CTRs, sales conversion rates and email list building abilities than many other online marketing methods. You are no doubt anxious to access the many benefits of webinars for building a successful business. However, when you don’t plan enough, test your webinar software and your script and get comfortable first, you can do more damage than good for your business. When planning your webinar, make sure you deliver a quick win to your audience. Provide something that even beginners to your niche or industry can put into practice. Be clear on what someone will come away with after viewing your webinar. They they should be able to achieve a “quick win”. This means that what you teach in your webinar should be able to be employed quickly. Think about answering just one big question or solving one big problem that your audience has. When you stick to just one question or problem, it’s easier for your audience to take action. Hosting webinars isn’t costly. Google Hangouts, YouTube Live and Facebook Live are free online streaming video services you can use to host webinars. There are also specific webinar software providers that give you all the tools you need in one neat package with true live-streaming, advanced interaction and live trigger buy buttons. You can boost your engagement and conversions with live interactive media options and real-time calls to action so that you can share your screen, run quizzes, conduct surveys, show ‘buy now’ buttons and run interactive whiteboards. Webinars are video and audio-driven. Often, your videos are simple screenshots or slides. In every case, bad audio will kill the best webinar script and offer. When testing your webinar do whatever it takes to deliver high-quality audio. This means hosting your webinar from a quiet, calm, distraction-free environment, using a high quality microphone and capable webinar software. Webinars work because people have fun. They’re interacting with you and each other. There is a “being part of a group right now” process that text-based marketing messages simply can’t replicate. Think of value, not sales. Provide incredible free value during your webinar. Don’t sell during the webinar “body”. If you do make an offer at the end of your webinar, be certain that what your webinar attendees pay in return for the value they receive is so attractive that they can’t pass up on the offer. Don’t sell throughout your webinar. Leave that for your call to action. Are webinars interactive? Yes, of course they are. That’s why people love attending webinars. They want to be heard! They want their opinion noted, their questions answered, and their problems solved. Those webinars that allow your audience to interact and engage with you will always be your highest grossing and highest converting webinars, because you allow your prospects to be a part of the process. But I’m Not Ready To Start Hosting A Webinar! Do you know how to ride a bike? If you do, you no doubt went through the same process that most people did when they were little. Your mom, dad or older sibling taught you how to ride. Maybe when you first started out, you had training wheels. Eventually, those training wheels were taken away. You wobbled, flopped and fell several times, but eventually, you learned to ride a bicycle on two wheels and you felt great about yourself. Hosting and running successful webinars involves the exact same process. You should find someone to help you. Go online and look for examples of good webinar presentations. What is the pattern or formula the webinar host is using? After you attend several webinars, even in different markets or niches, you’ll see there’s generally a set pattern of delivery. In the beginning, getting a successful webinar host to help you is just like having training wheels on your bicycle when you were little. This virtually eliminates failure. You may not be the most adept webinar host in the world, but when you get guidance from someone else who has already been there and done that, your performance, even the first time, is much better than it would be if you would have tried to learn on your own. Test your webinar software before conducting a webinar live. This sounds like a no-brainer tip, but many first time webinar hosts don’t do this the correct way. Practice, practice, and then practice some more. Show your webinar to some friends and get their input. Perform your webinar so many times that you are familiar with the software and the experience inside out, for both your viewpoint and the point of view of your attendees. Practice makes perfect, so get to know your webinar software and your script intimately before you go live. When you are conducting a webinar it makes absolutely no sense for you to make your workload greater by attempting to pretend you are someone you’re not. You’ll develop confidence and ability giving webinars when you act like yourself, and no one else. You’re a unique individual, and webinars have a wonderful way of letting your one-of-a-kind personality shine through. Be yourself and not only will you feel more comfortable giving the webinar, but your interaction with your attendees in the future will be more genuine, and that is what web surfers connect with – people who are unique and genuine. 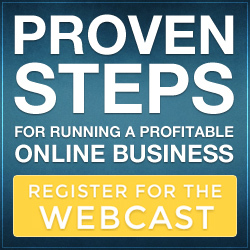 Webinars are without a doubt one of the most powerful ways to generate huge streams of revenue for your business. Planning and hosting webinars isn’t costly and they’re not hard to do either. You’ll gain so much more out of hosting webinars and adding webinars to your marketing mix that you’ll wonder why you did not start doing them sooner. 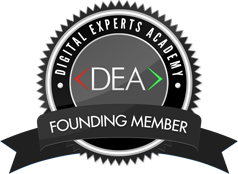 Check out this new webinar platform that changes the way webinars are done forever. Running and hosting a webinar has never been easier. This entry was posted in Internet Marketing, Video Marketing, Webinars and tagged Good Internet Marketing, hosting a webinar, Webinar For Your Business, What Are Webinars on May 26, 2017 by Jon Allo.